Last week, NBC unveiled their premiere dates for fall. 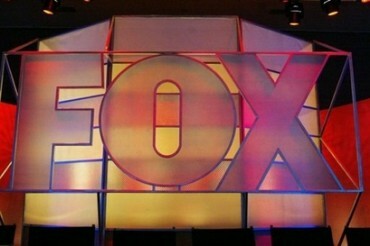 Today, FOX released their plans for the new and returning TV shows that will be back this September and October. In order, the returning shows are The X Factor (9/12), Glee (9/13), Bones (9/17), New Girl (9/25), Kitchen Nightmares (9/28), Fringe (9/28), The Simpsons (9/30), Bob’s Burgers (9/30), Family Guy (9/30), American Dad (9/30), Raising Hope (10/2), The Cleveland Show (10/7), and Touch (10/26). New shows are The Mob Doctor (9/17), Ben and Kate (9/25), and The Mindy Project (9/25). What do you think? Which new and returning shows will you be tuning in to watch this fall? More about: American Dad!, American Dad! : canceled or renewed?, Ben and Kate, Ben and Kate: canceled or renewed?, Bob's Burgers, Bob's Burgers: canceled or renewed?, Bones, Bones: canceled or renewed?, Family Guy, Family Guy: canceled or renewed?, Fringe, Fringe: canceled or renewed?, Glee, Glee: canceled or renewed?, Kitchen Nightmares, Kitchen Nightmares: canceled or renewed?, New Girl, New Girl: canceled or renewed?, Raising Hope, Raising Hope: canceled or renewed?, The Cleveland Show, The Cleveland Show: canceled or renewed?, The Mindy Project, The Mindy Project: canceled or renewed?, The Mob Doctor, The Mob Doctor: canceled or renewed?, The Simpsons, The Simpsons: canceled or renewed?, The X Factor (US), The X Factor (US): canceled or renewed?, Touch, Touch: canceled or renewed? I agree with Jim can someone explain how new girl can have a season premiere at 9:00 PM after they show an “all new” episode at 8:00 PM. unless they are showing a clip show at 8:00 PM of the first season. Also will you be posting the other stations premiere dates soon? Jim & KAB » I believe they’re calling the 8pm episode a “special” episode because that’s not the show’s usual timeslot. It is a bit odd but I’m sure we’ll get more details before the premiere. I’ll be posting the other networks’ dates as they are released. Here are NBC’s Fall 2012 dates. maybe someone can explain how new girl can have a season premiere at 9:00 PM after they show an “all new” episode at 8:00 PM. unless they are showing a clip show at 8:00 PM of the first season. Only three new shows, and none of them look like they will be as good as The Finder or Alcatraz. Yeah, I actually watched The Finder and Alcatraz! I only noted three shows from this list: Bones, Fringe, and Touch (I don’t even watch Touch, I’m only making a note of its premiere date for my parents and Fringe is ending after this season). And that’s it for FOX! I’ll check out The Following, but that’s not till midseason. How could there be so few shows left for me to watch? After they cancelled Dollhouse, Human Target, The Finder, etc… ah well. I guess I’m no longer their target audience, despite being in their target demographic. Oh yeah, and Terra Nova, too! The line up is ok, would of been great if they bought the FINDER back!!!! Just saying….